50 US Cities with the Most New Jobs – Big opportunities in relatively small towns. 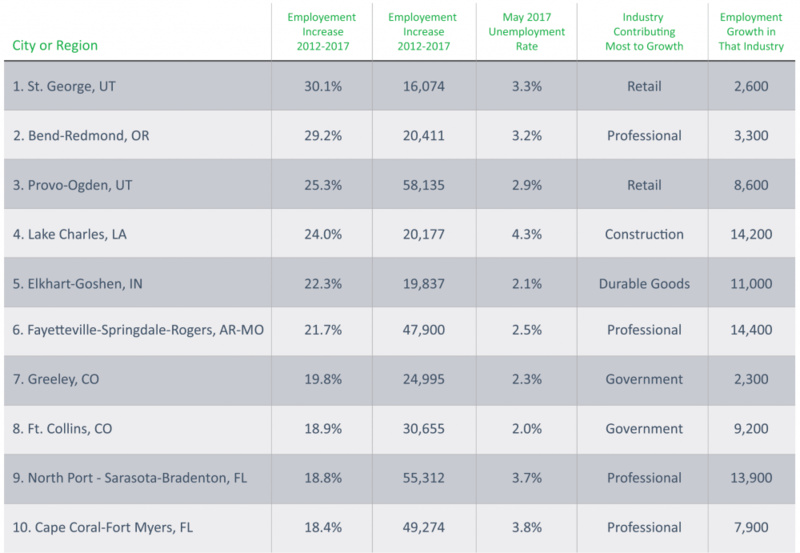 In an article for msn.com this July, writer Michael B. Sauter composed a comprehensive list of the top 50 cities for job growth in the United States. The data was tracked from 2012 through 2017 and details the percentage of employment increase, the number of new jobs, the industry (excluding agriculture) contributing most to the growth in opportunities, as well as other key factors. Not surprising, early 50% of the cities on the comprehensive list were from states that have the highest inbound relocation activity1. Fort Myers, FL earned the number one spot on a list of the top U.S. cities for relocation, as posted by US News & World Report. Global Mobility Solutions (GMS) has destination spotlights for many of the cities mentioned in the overall list. These spotlights contain information about a city’s climate, geography, transportation, entertainment, culture, sports, schools, and more. 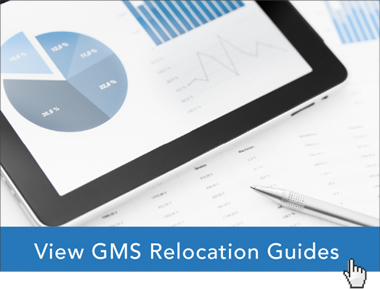 GMS spotlights are great tools for helping mobility managers explain the benefits of a relocation assignment and for transferees to become accustomed to an area before actually moving there.